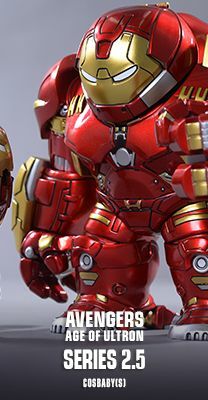 Artist Mix Collection continues as the release of the highly anticipated Marvel’s Avengers: Age of Ultron approaches! 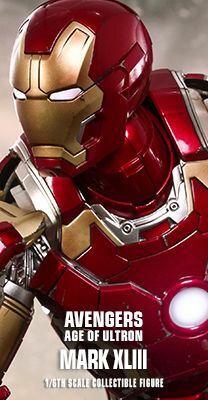 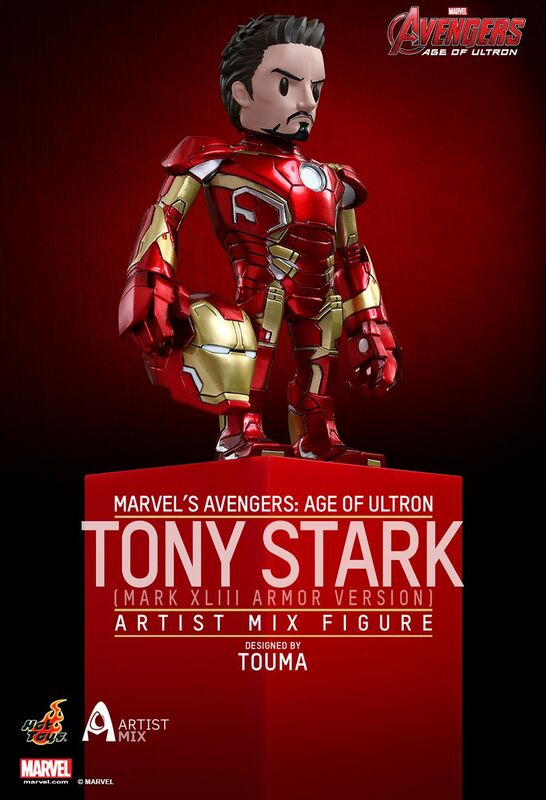 Hot Toys is pleased to present today, the new Tony Stark (Mark XLIII Armor Version) Artist Mix Figure Designed by TOUMA! 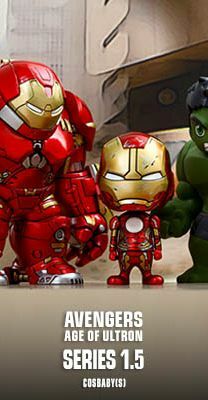 The Artist Mix Figure has bobble-head function, stands approximately 14cm tall, and includes a Mark XLIII helmet as accessory. 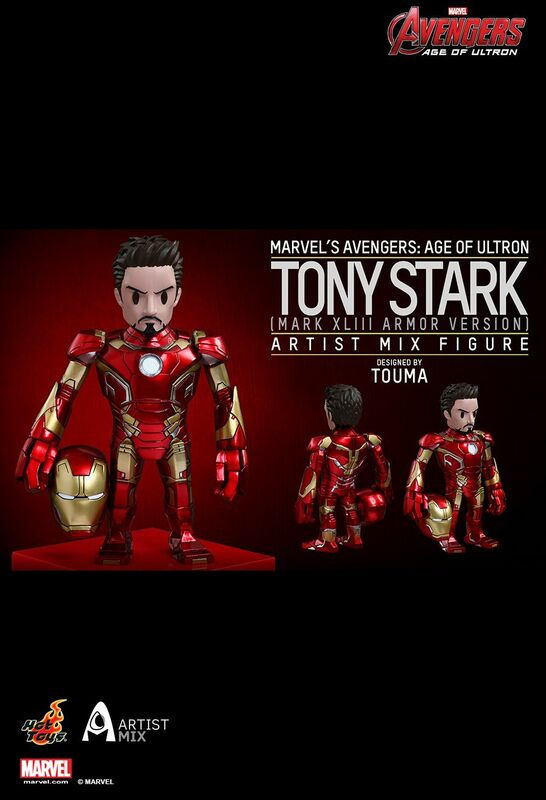 TOUMA’s distinctive art style has been combined to a great effect with the movie character’s design and brings a truly unique art form figure for fans! 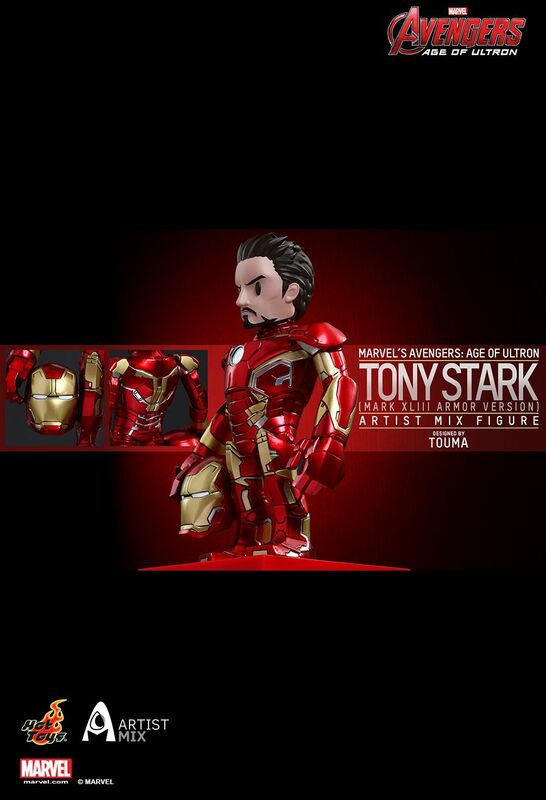 The Artist Mix Figure Designed by TOUMA will make a great stylistic presence on your desk or shelf!